‘Scheduling two special elections is a form of voter suppression,’ warns state senator who seeks to schedule Senate vote for same day as Christie’s re-election run. 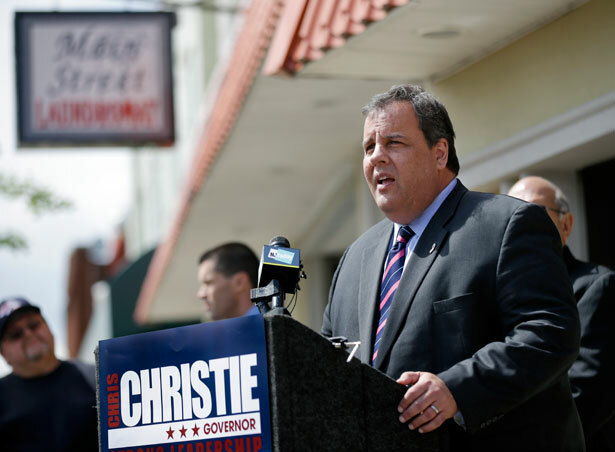 It is not just Democrats who object to New Jersey Governor Chris Christie’s gaming of the political process to schedule the state’s special Senate election twenty days before his own gubernatorial election. State Senator Michael Doherty, one of the most conservative Republicans in the New Jersey legislature, ripped Christie for calling the election to replace the late US Senator Frank Lautenberg for October 16, rather than having it coincide with the regularly scheduled November 5 election. Like everyone else who pays even passing attention to politics, Dohery knows why Christie scheduled the unnecessary extra election, at an expense to taxpayers of at least $12 million. The governor, who is looking to score a big re-election win to jumpstart a 2016 Republican presidential run, wanted to avoid having to deal with a lot of Democratic voters who will show up to vote in the Senate race (for a marquee nominee such as Newark Mayor Cory Booker or Congressman Rush Holt or Congressman Frank Pallone or Assembly Speaker Sheila Oliver)—and who might stick around to vote for Christie’s hard-working if underfunded Democratic challenger, state Senator Barbara Buono. Doherty, a movement conservative who has often sparred with his party’s governor, has called on Christie to scrap the October 16 scheme and schedule a November 5 Senate election. That would make it possible to move the Democratic and Republican primaries to later dates—allowing more candidates to run. Of course, Christie is not interested in small-“d” democratic niceties. So he’s not going to reschedule the election without a fight. As it happens, however, he has a fight on his hands: a key Democratic senator says the governor could be forced to do the right thing. State Senator Shirley K. Turner has introduced legislation that would upset Christie’s scheme. Under Turner’s plan, the date of the state’s general election would be shifted from November to October 16. Turner has asked for quick action on her bill. And she says she’s received strong support from colleagues. Who knows? She might even get Republican Senator Doherty to vote with her. In fact, if enough principled conservatives do the right thing, the legislature might even beat a Christie veto, a result that could even teach the governor a thing or two about respecting the electorate—as opposed to his own ambitions. Read more about the late Frank Lautenberg, the last of the New Deal liberals.